After graduating from college, Jane earned her master's degree from the University of Chicago and began her career in librarianship at the University of Chicago High School Library. Shortly after moving to Washington, she become the librarian at Sidwell Friends School. 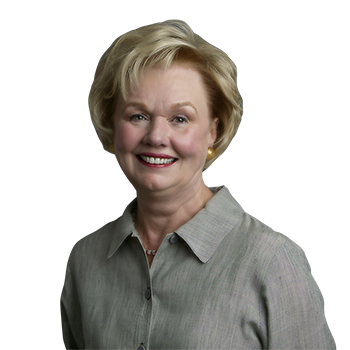 Jane redirected her professional energies to real estate full-time in 1986 and became a licensed real estate broker in 1992. We wanted to thank you and Washington Fine Properties for the outstanding work of Marc Satrazemis, Jane Howard, and Jessie Vangrofsky in association with our recent purchase of a home on Nebraska Avenue and sale of our condominium on Connecticut Ave. The collective enthusiasm, professionalism, and attentiveness exhibited by Marc, Jane, and Jessie from the day the home-buying process began through our recent closing on our condo made for a smooth and enjoyable process, and an easy transition into our new home. We will certainly recommend their team and Washington Fine Properties to any friends in the market to buy or sell, and we thank you again for their first-rate service. Thank you very much for your and your team's effort, experience and direction relating to our recent purchase on Glenbrook. We are thrilled and greatly appreciate everything you did to make it happen. Now, on to the close!